Jeff and MacKenzie Bezos gave their kids access to knives and power tools from a young age, the Amazon CEO said at a recent event. Scientific research has found kids benefit enormously if they have freedom to take risks. Kids with helicopter parents can grow up to feel inadequate and unprepared for adulthood. While many wealthy parents may shelter their kids, the world’s richest couple is going in quite the opposite direction. The comment tracked with the couple’s other parenting methods, which included letting their four kids use sharp knives at 4 years old and power tools soon after, the Amazon executive told event moderator (and his younger brother) Mark Bezos. 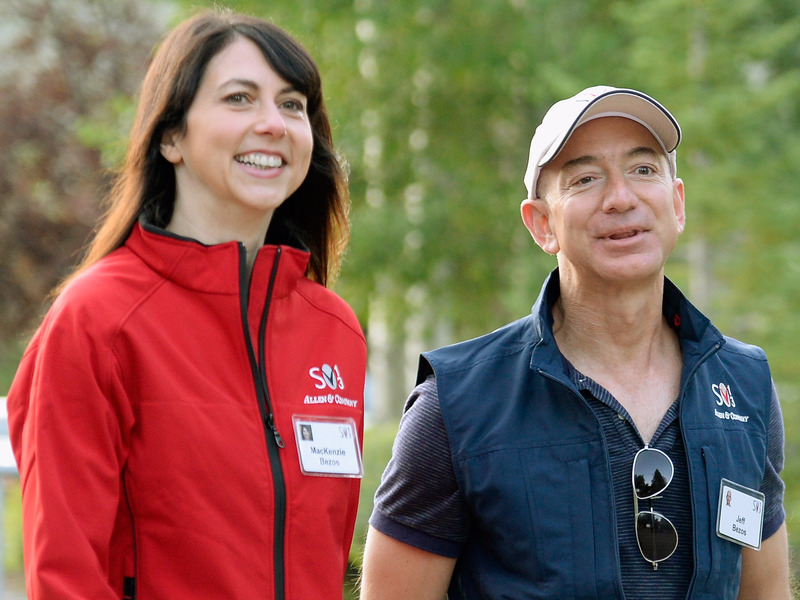 A growing body of evidence has suggested the Bezos approach to parenting is a healthy one for kids. Provided they don’t seriously cut or impale themselves, kids seem to reap psychological benefits from unstructured, semi-reckless play. Overparenting, meanwhile, may set kids up for failure. Research into the benefits of dangerous play has found it can improve physical health, social skills, and help kids learn to gauge risks. It’s also been found to make kids more confident and resilient. Julie Lythcott-Haims, author of “How to Raise an Adult,” has communicated a similar sentiment in her TED talk and book. As Stanford’s dean of freshmen from 1985 to 2012, she said countless kids came to her facing self-doubt and depression. Otherwise bright and capable students felt wholly unprepared for adult life. A raft of studies have found the same result: Kids with helicopter parents tend to face greater rates of mental-health issues later in life. As Bezos told his brother, the value of being a little more hands-off is that when kids inevitably hurt themselves, the moment becomes a learning opportunity. It instill in kids what Lythcott-Haims calls “self-efficacy,” or the ability to self-correct and know better for next time. Ultimately, a child who loses one finger could come to get more from life than someone with a full set.